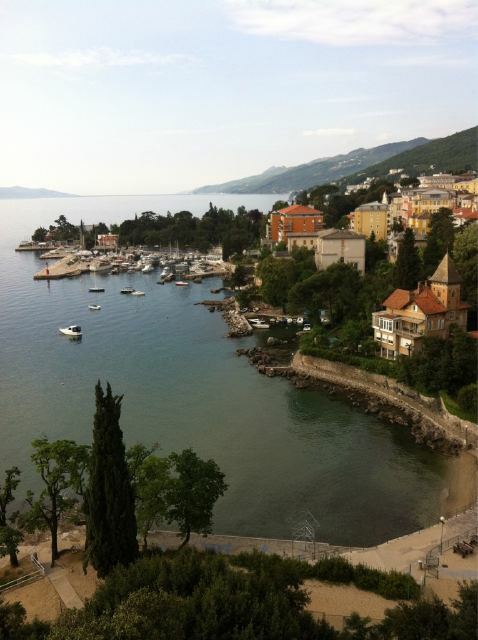 Wine Portfolio, a Canadian cable-TV series hosted by Toronto-based restaurateur, Jody Ness of Wildfire Steakhouse, just released a series of YouTube videos that were shot during Mr. Ness’s visit to Croatia in May 2011. The Wine Portfolio TV show celebrates “wine producing regions and places of world class food and wine” and aires on CNBC World TV. It’s not clear whether these latest videos will be included in a future episode or if they are additional footage and outtakes. 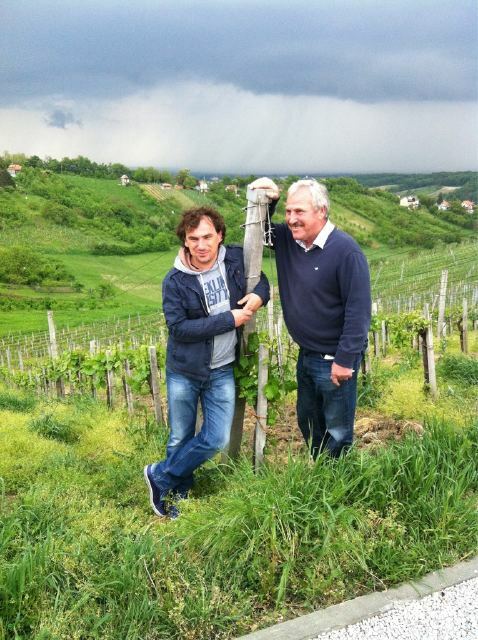 These videos include great shots of Croatian scenery and interviews with Croatian winemakers, including Alen Bibich, Bruno Trapan, Ivica Matošević and Oliver Arman. For your enjoyment and reference, we’ve compiled all five HD videos in the “Croatia Calling” series and embedded them here. 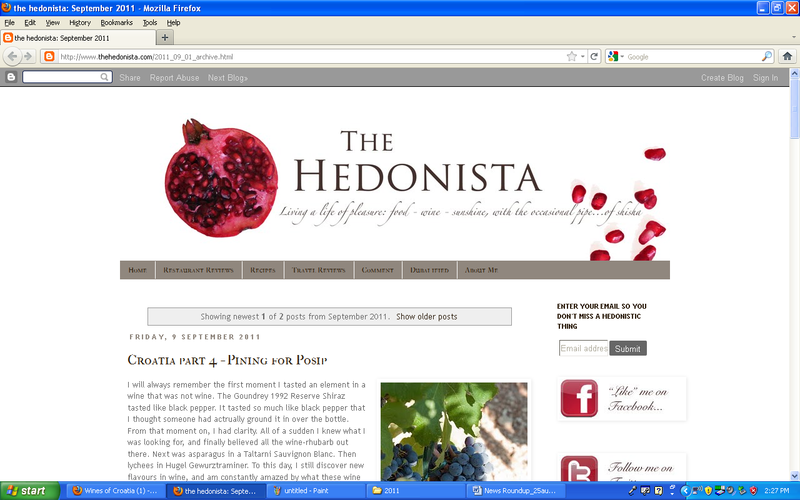 We hope you enjoy these journeys with Jody Ness around the wine roads of Croatia! 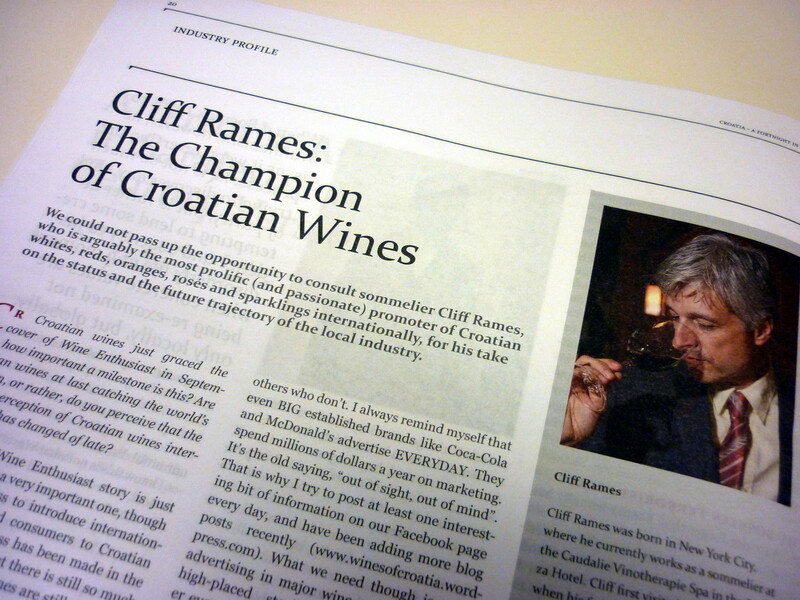 In its November 2011 issue, the English-language magazine published, Croatia: a Fortnight in Review published an extensive interview with Wines of Croatia founder, Cliff Rames. 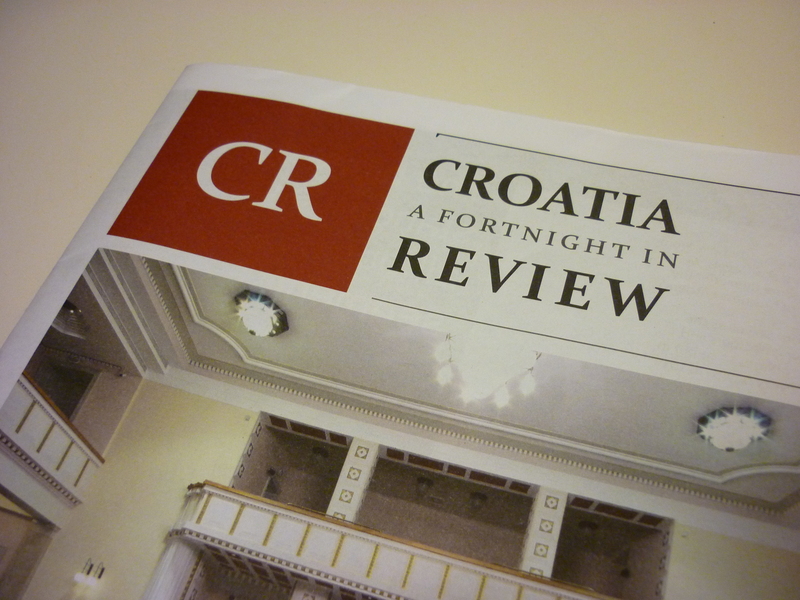 Croatia: a Fortnight in Review is a bi-weekly, subscription-only magazine published inZagreb for English-speaking residents ofCroatia, including ex-patriot, diplomats and foreign business people. 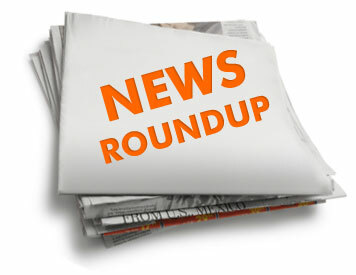 To read the full article (in flip-book format), please see pages 20-22 of Issue #20 by clicking HERE. We hope you enjoy the interview, and please feel free to comment below. 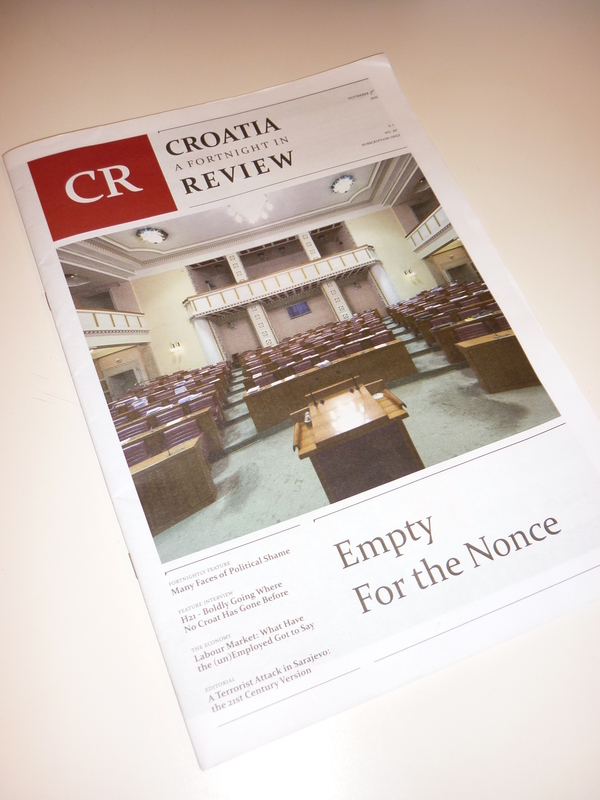 In case you missed anything, here is a round-up of this week’s links to the news articles, blog posts and videos that highlighted Croatia, its wine or wine culture. 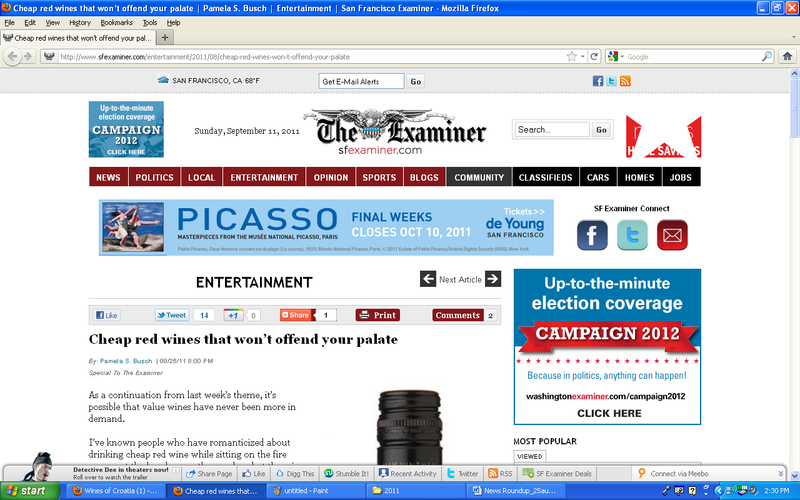 This feature will be published every Sunday. Cheers! 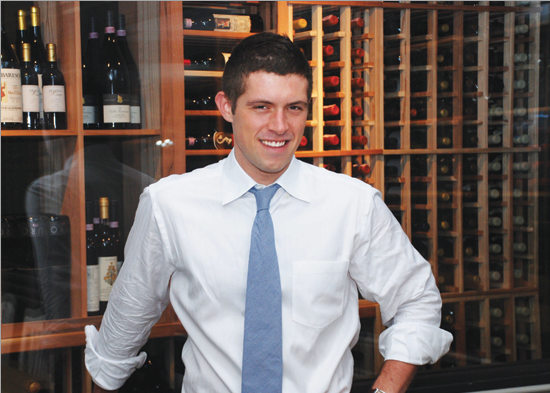 Joe Campanale, beverage director and co-owner of three hot New York City restaurants – dell’anima, L’Artusi, and Anfora – recently visited Croatia to attend the Dalmatia Wine Expo and tour some of the country’s wine regions. 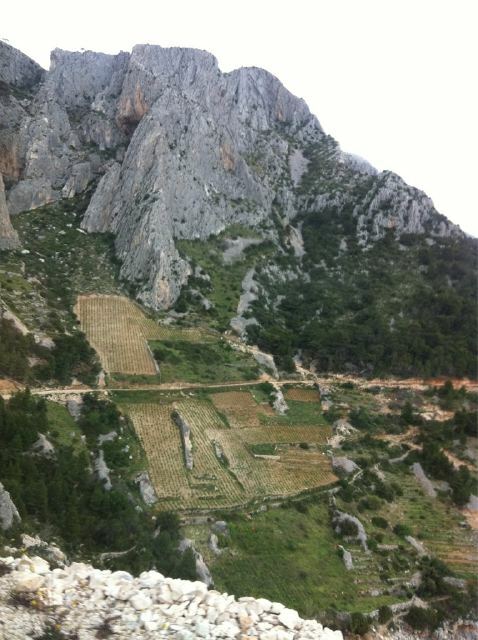 In a charming and sweetly memorable moment from his trip, Joe sent out this tweet on Twitter: “Ok I’m about to fall asleep in Korčula but this picture of vineyards clinging to a mountain is still on my mind http://t.co/LxEWtsj“. 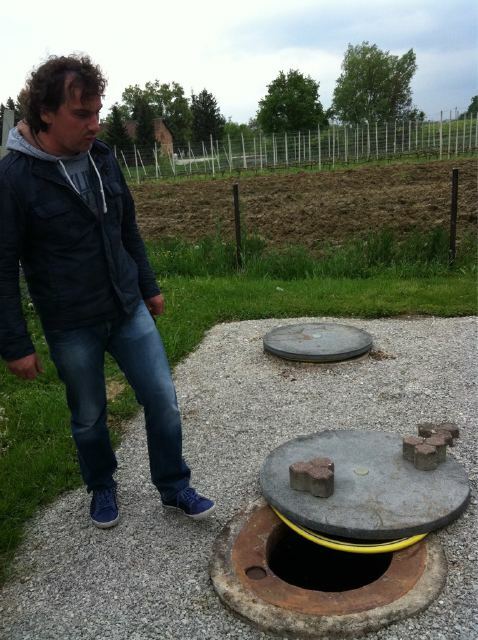 In this exclusive interview, Joe shares some more thoughts and observations about his trip and offers some sage advice for the future of Croatian wines. 1. 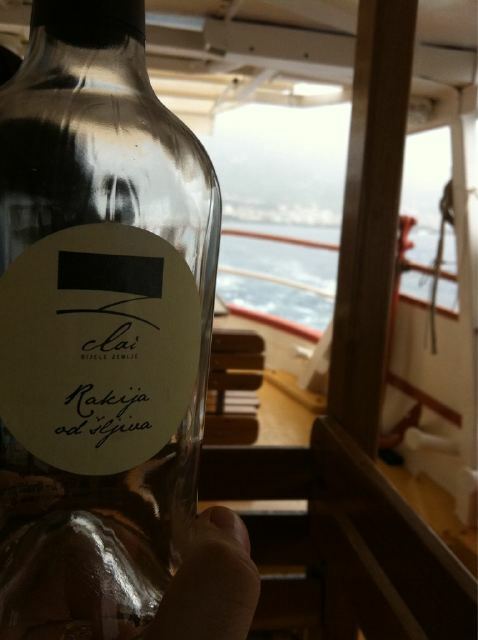 You just returned from a tour of a few wine regions in Croatia. 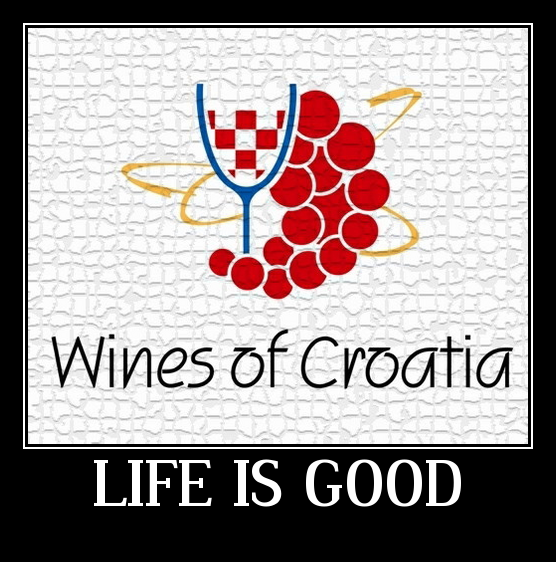 What are your general impressions of Croatia as a country and as a wine-producing country? Croatia is country with a ton of stunning natural beauty, like the electric-blue Adriatic coast, breathtakingly steep vineyard sites, endless islands and incredible mountain peaks. It is fascinating to see a country as a relatively new quality wine producing country trying to find its way, sometimes with great success. I think the quality is only going to improve as the vines get older and as winemakers become more experienced and share information with other producers. 2. Was there anything that surprised you? Disappointed you? Blew you away? I was surprised by the extreme beauty. It was really one of the most stunning places I’ve ever been, and I was not expecting that. 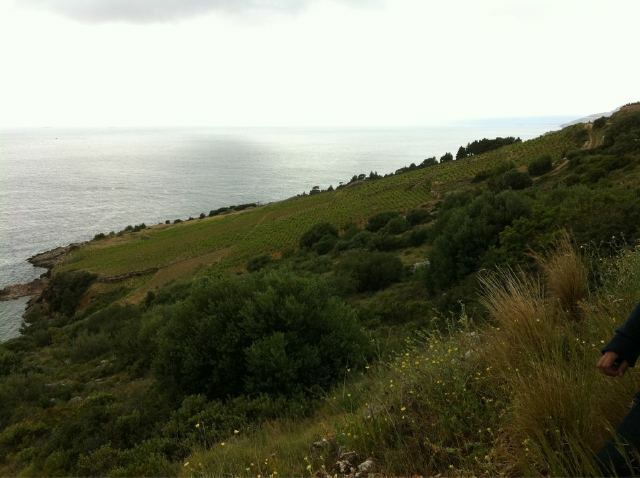 I was blown away by the sheer steepness of some of the vineyards, especially in Dalmatia. It is heroic to work them. I was also surprised by the truffles! Croatia is one of the few places that truffles grow in the world and they were incredibly delicious. I was disappointed to see a lot of Plavac Mali wines that were unbalanced, too hot and alcoholic, often with 15.5% alcohol or higher and residual sugar. 3. 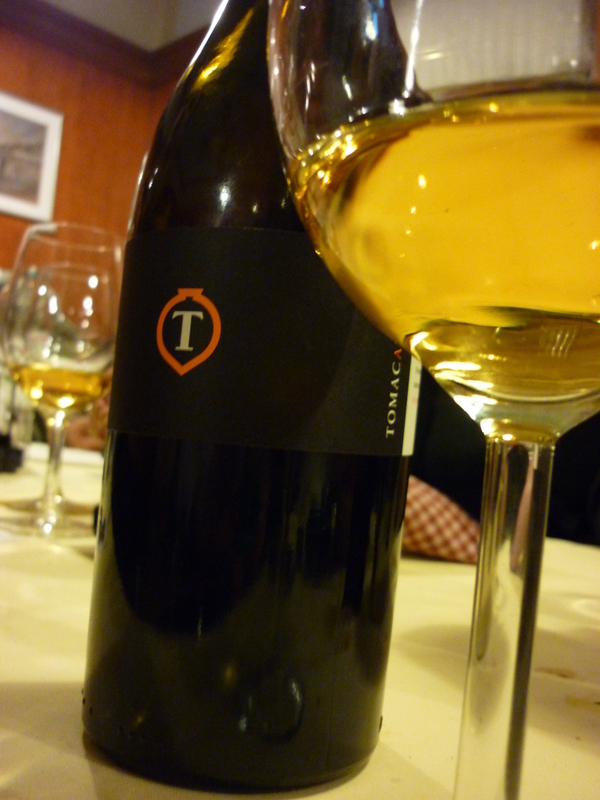 How many of Croatia’s different indigenous grapes varieties did you try through the wines you tasted? Any favorites? We probably tasted 15-20 different grapes. 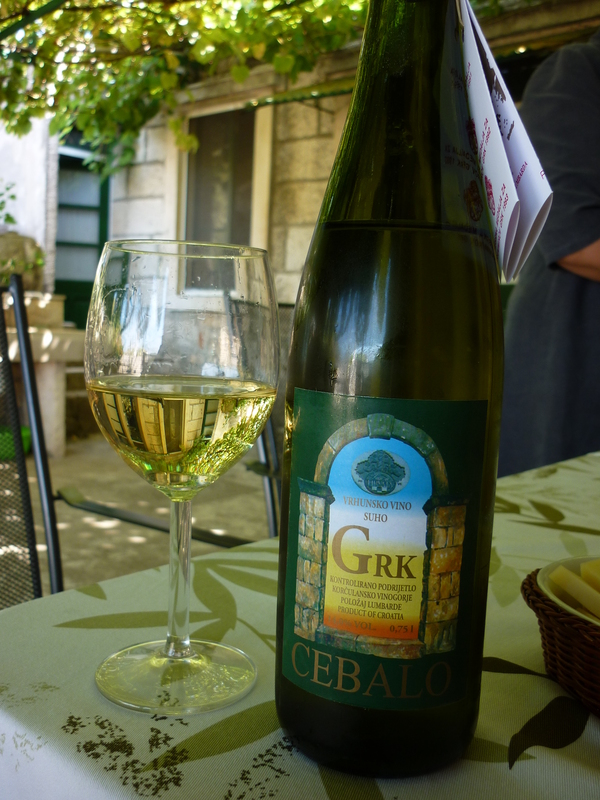 I loved the white grapes Pošip and Grk for their minerality and crisp acidity, though Grk was just a bit more complex. As for red grapes I thought that Terran had the most potential for its structure and food pairing ability. 4. 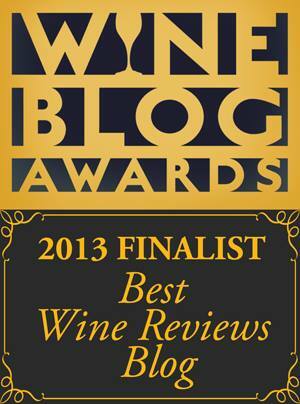 Were there any particular wines that really impressed you? Any “wow” moments? Miloš 1994 Plavic Mali showed me that Plavic Mali has an incredible ability to age when it’s made in a balanced style with alcohol kept in check. 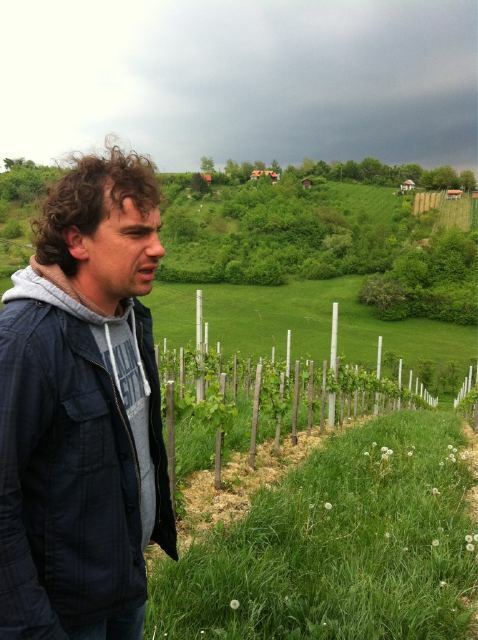 Also Miloš is one of the few producers making wine a very traditional, natural way. 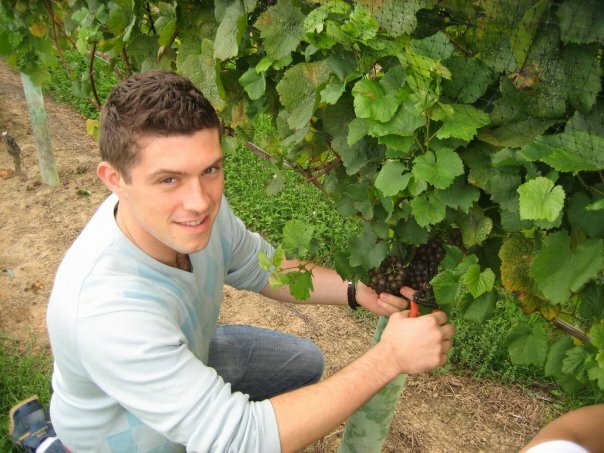 He holds the wines back until they are ready to drink. 5. 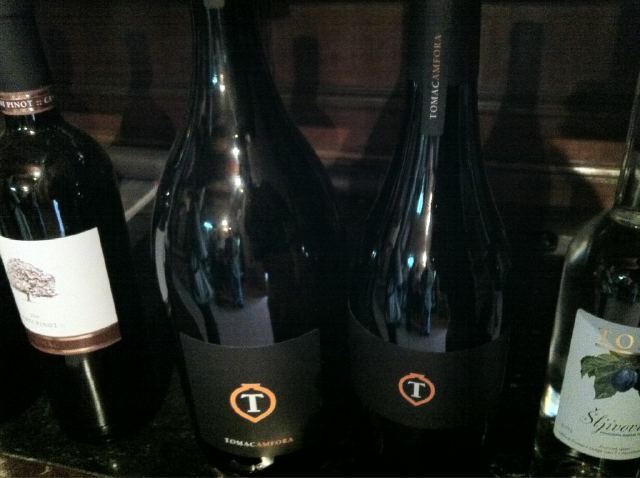 You visited Tomac winery and tasted his “Anfora” wine. 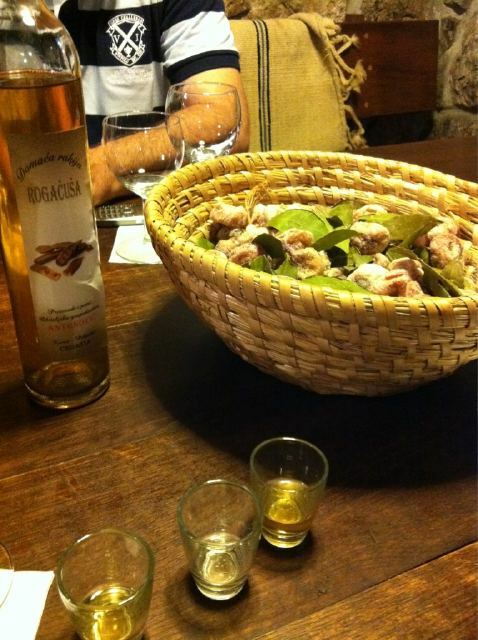 Wines made in amphora are a particular interest of yours. What did you think of Tomac’s version? 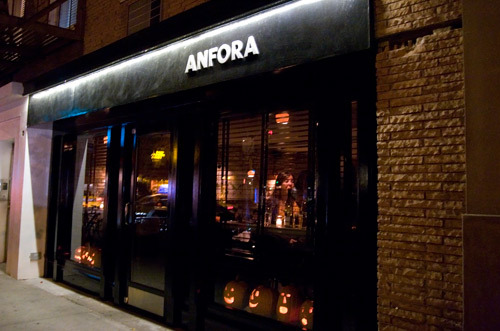 I love Tomac’s Anfora wines and his entire philosophy. 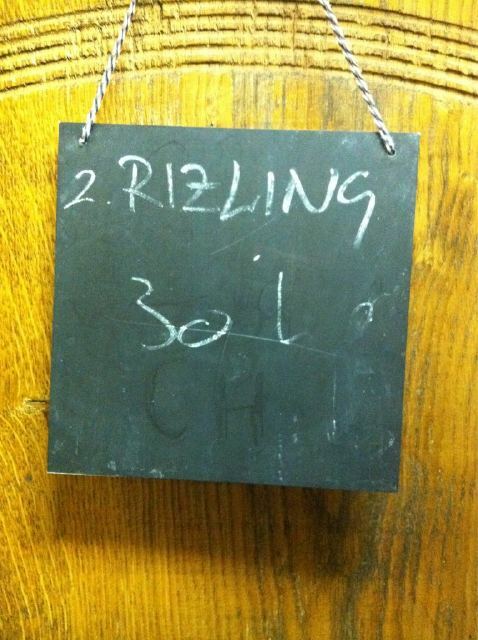 His wines were balanced, nuanced and delicious. They were also unique but not in a way that would turn off people who haven’t had them before. I also loved his Pinot Noir. 6. 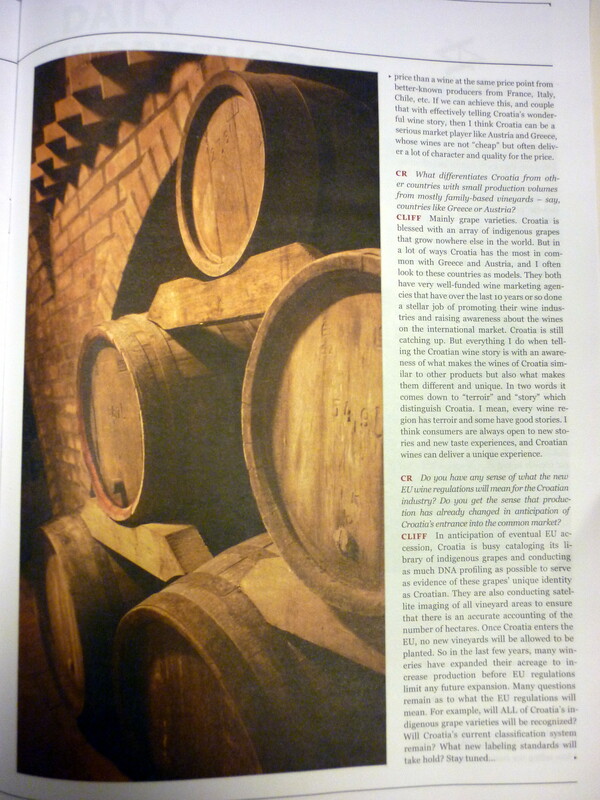 Can you offer a little advice on what Croatian winemakers can do better to compete on the world market, particularly in the US? 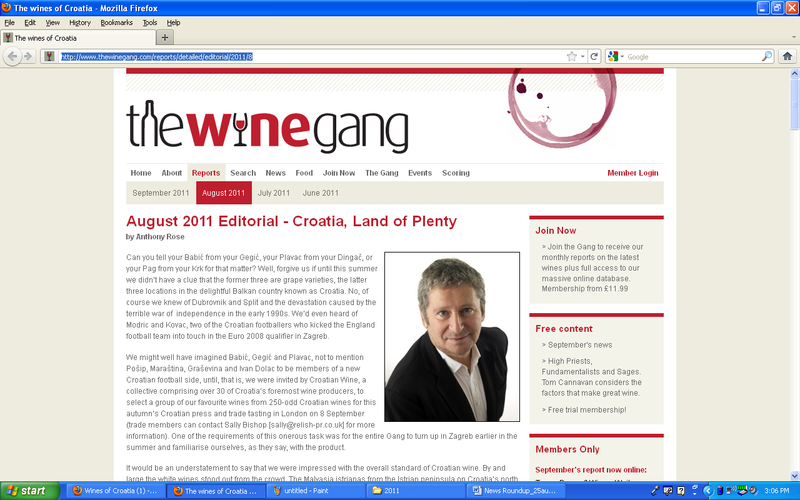 I’d say focus on creating wines and flavors that are indicative of Croatia. Embrace your native grapes and create wines that go well with food. Croatia is never going to be able to compete at the lowest end because of cost parameters and there is so much competition for “international-styled” wine. 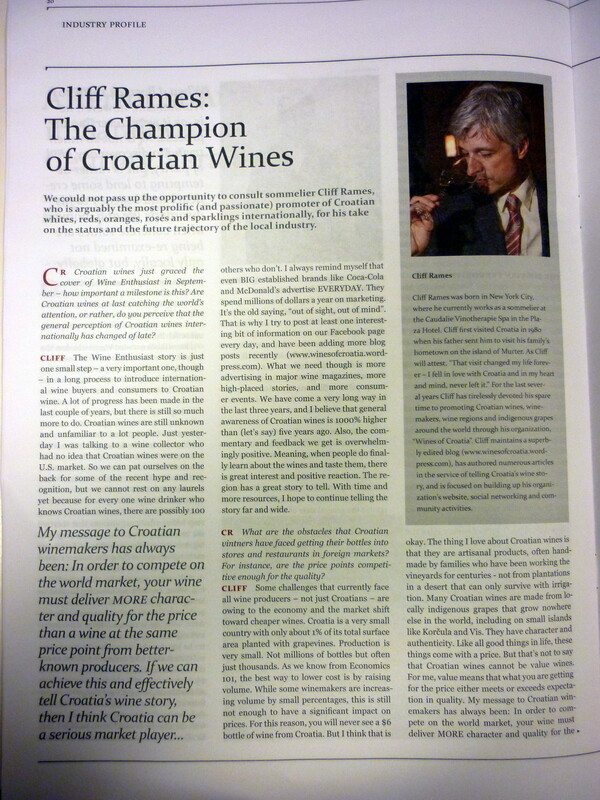 So the only way Croatia can compete is on it’s uniqueness of high-quality, balanced wines. 7. 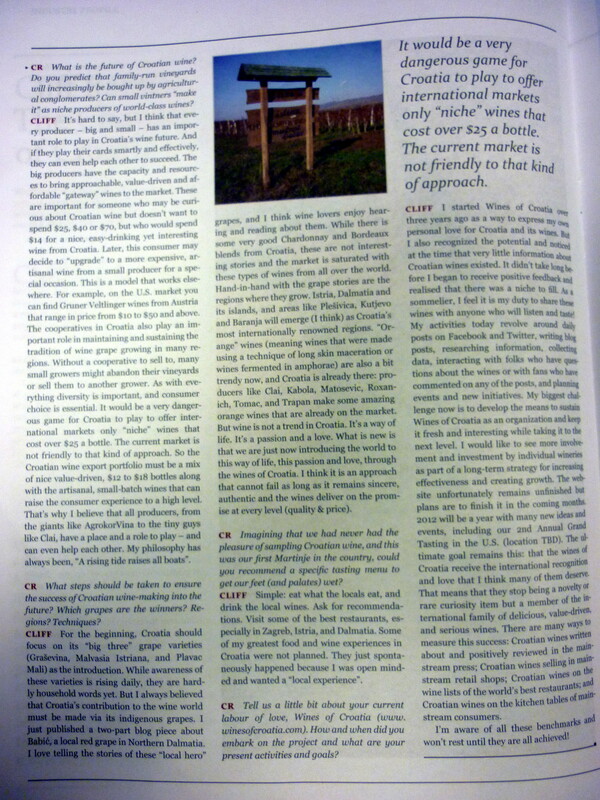 Say one thing that American consumers/wine lovers should know about Croatian wines. Croatia has an immensely diverse amount of grape varieties and terroirs, creating the opportunity for a wide range of wine styles. 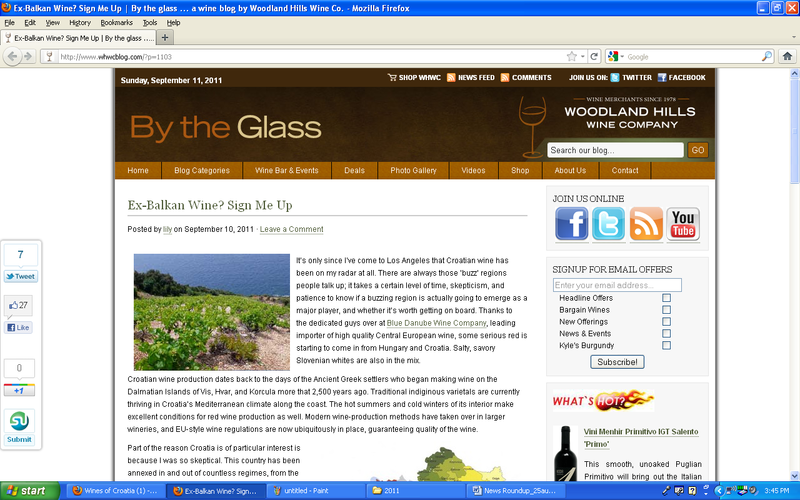 There are a few very interesting wines now but these wines will continue to improve. 8. 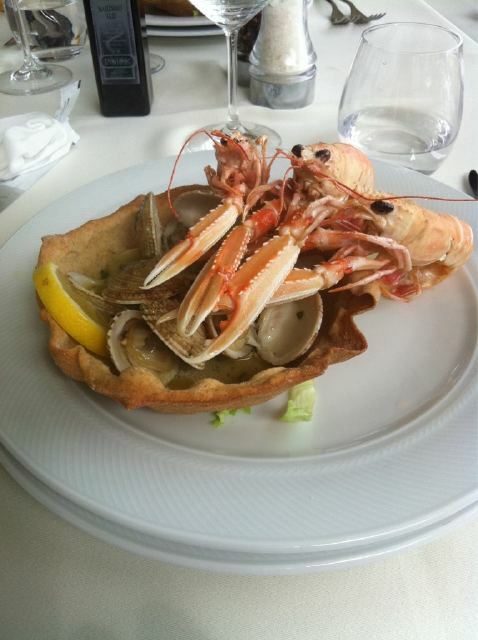 How did you like the Croatian restaurants/cuisine? Do you have a favorite dish? Any food and wine pairings that you really liked? 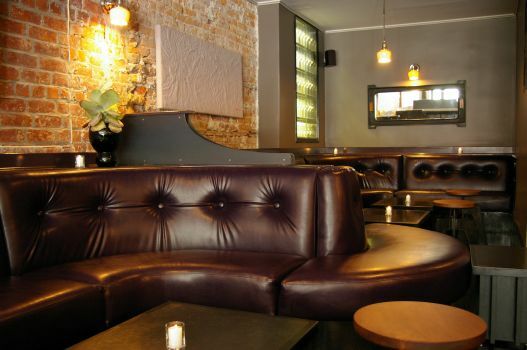 The restaurants were of an extremely high quality. We ate a lot of extremely fresh fish and the local shrimp were especially sweet and soft. One of the fun things that quite a few restaurants did was that they put out a wide variety of olive oils for us to taste with our breads. One restaurant even had 15 local olive oils on the table. 9. 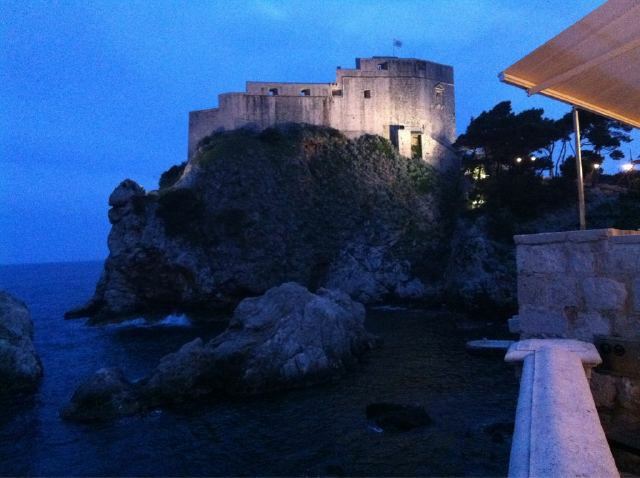 Would you like to return to Croatia someday? Where would you go? Of course! 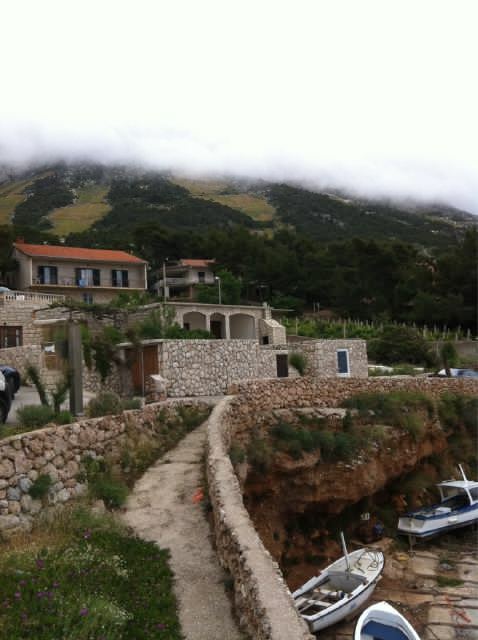 There are a 1,000 islands and I’d like to explore them all but I want to go back to Korčula first.